When you go to the opera, you're usually there to see just one work, perhaps La traviata or Le nozze di Figaro. Puccini’s three operas Il trittico are unusual. As the title (‘The Tryptych’) tells us, the operas were conceived as three separate works, but for performance together. This is not the same as three chapters of a novel, with characters running through each section to link theme together. Rather, it is like a collection of short stories – grouped together, but still individually complete. This idea of programming contrasting works together is familiar today with classical music concerts and ballet performances – six of The Royal Ballet’s main-stage performances this Season are mixed programmes. Yet in the history of theatrical entertainment, there is a more widespread tradition of putting different works together to create a substantial evening out. Screenings in the first decades of film invariably included more than one ‘act’; even into the 1960s, the ‘double feature’ of early cinema history was still common, with a ‘supporting film’ – the ‘B’ movie – before the ‘main feature’. The terminology tells us straight away the level of importance here. The opera equivalent goes back to the 18th and 19th centuries, when shorter comic works – especially in Italian and French performances – were inserted between acts of the main opera as a theatrical amuse bouche to divide dramatic courses. The name of these ‘B operas’ gives it away: the intermezzo, or interlude. The most famous and historically influential is Pergolesi’s La serva padrona of 1733, written to accompany his own opera seria, called Il prigionier superbo. These intermezzos are seldom seen now except for specific historical re-creation, but you get a sense of their light and diverting nature in one unexpected but historically well-informed place: Il muto, the pastiche of an intermezzo in Lloyd Webber’s musical The Phantom of the Opera. The one-act or shorter operas that don’t quite make up a whole evening were written for various reasons. Some acted as ‘curtain-raisers’ to get the audience in the mood, often for operetta. Gilbert and Sullivan’s Trial by Jury is today best known in this fashion from its long-established pairings before other G&S shows, such as H.M.S. Pinafore – although originally it was written to conclude an evening, when it was performed in London after Offenbach’s La Périchole in London. A number of the most famous short operas that we see performed today were the results of competitions to find new talent: these include Mascagni’s Cavalleria rusticana and Bartók’s Duke Bluebeard’s Castle. Puccini’s rarely staged first opera Le villi was written as a competition entry, but didn’t win. Others capitalized on the example of another successful work: Leoncavallo’s Pagliacci was written to mirror the atmosphere and structure of Cavalleria rusticana. Solti’s reasoning makes clear the central decision in creating mixed programmes: to create connections through similarities or to emphasize striking contrasts. 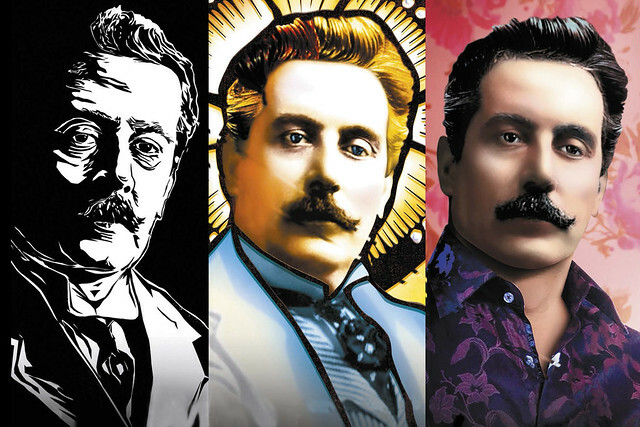 With Il trittico, Puccini made the choice himself. Or rather, he didn’t need to. Juxtaposing the three operas heightens the contrasts of their different dramatic moods: melodrama for Il tabarro, tragedy for Suor Angelica and comedy for Gianni Schicchi. Yet they also fit together by sharing Puccini’s musical style. It’s an operatic case of having your cake and eating it. I thought 'Trial by Jury' was originally an after piece rather than a curtain-raiser - keeping the mood at the end of the evening rather than setting it. Thanks for spotting this – we've amended that misleading sentence.